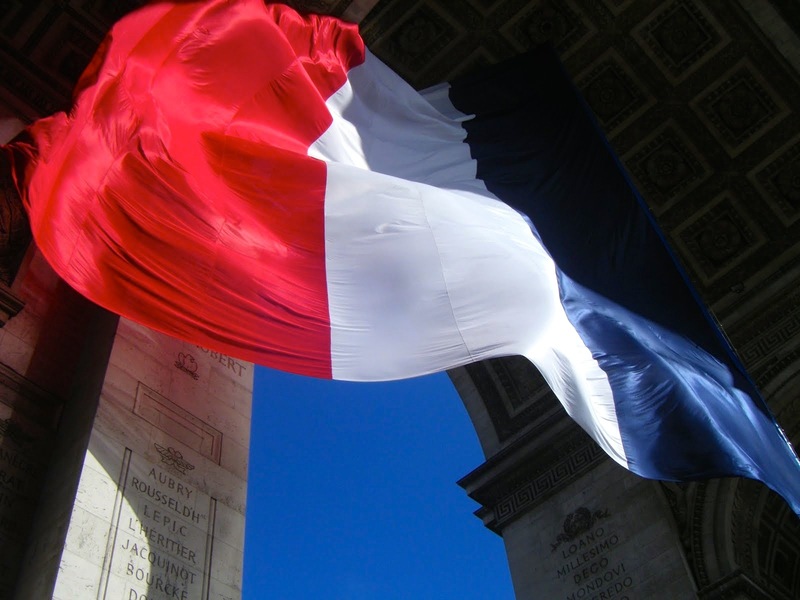 On July 14, 1789, the people of France stormed the Bastille violently adding momentum to the French Revolution. 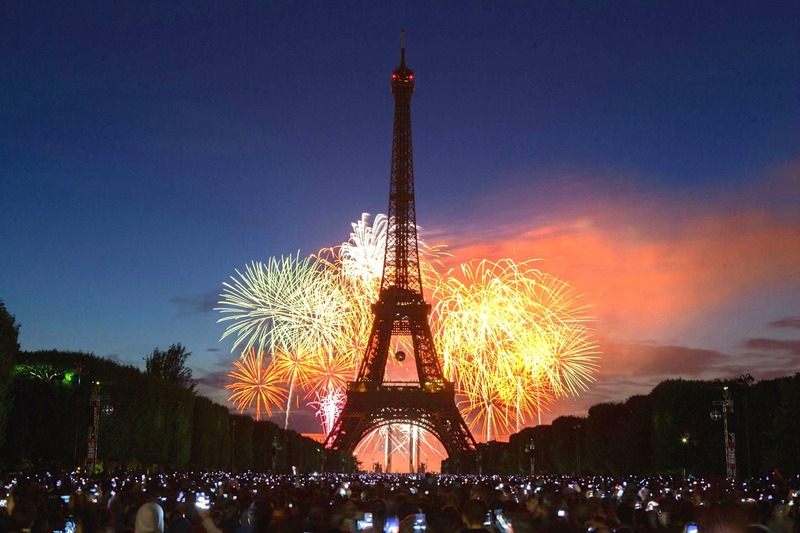 The medieval fortress and prison had become a symbol of the King’s authority, who stood by and watched as the French economy plummeted and taxes soared. 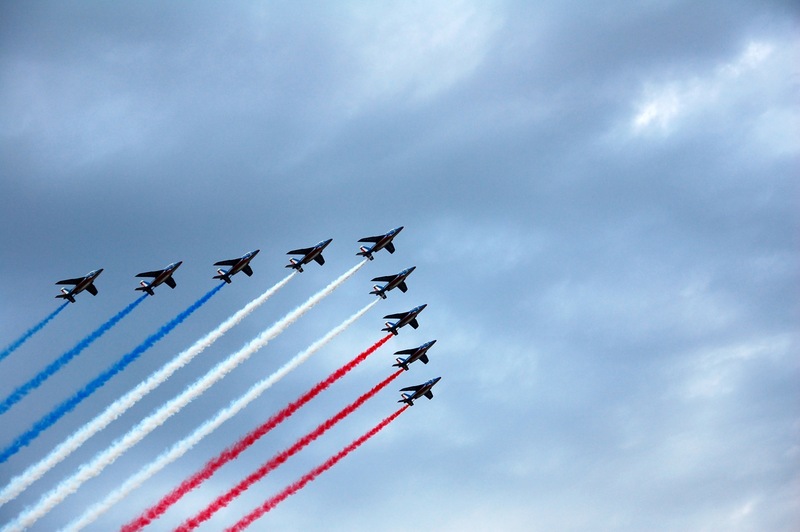 Bastille Day is the name given in English speaking countries to the French National Day, which is celebrated on July 14th each year. 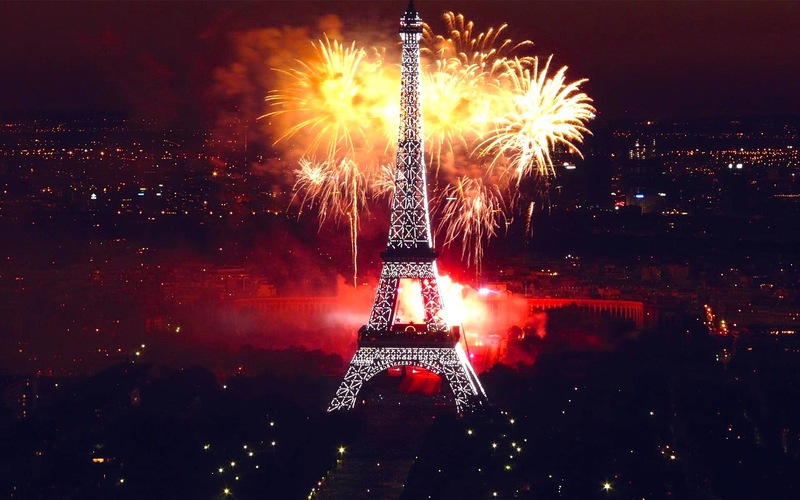 In France, it is formally called La Fête Nationale and commonly Le quatorze juillet, the fourteenth of July. 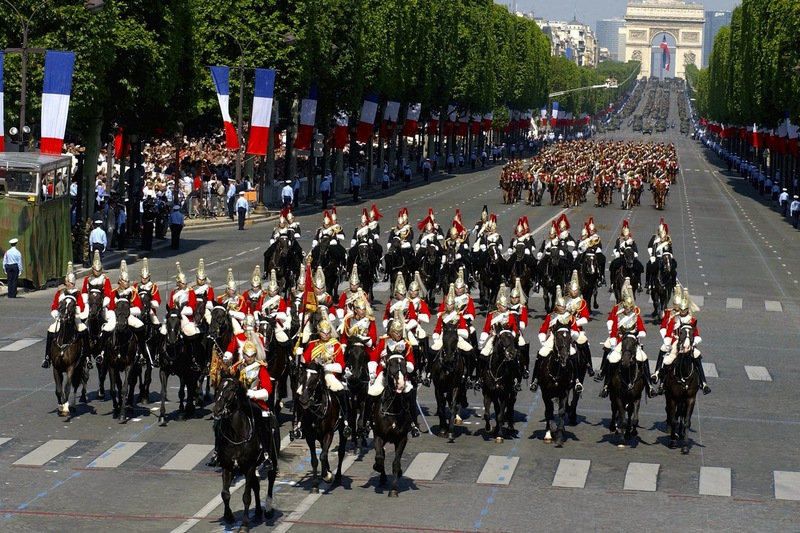 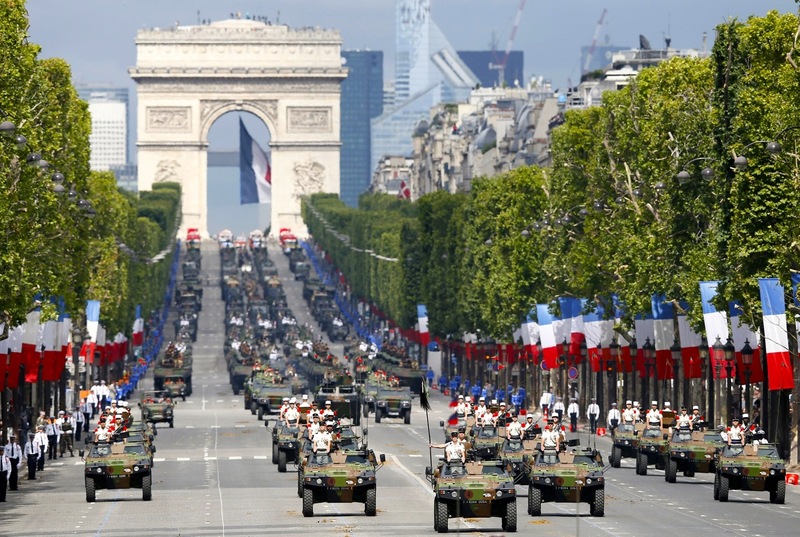 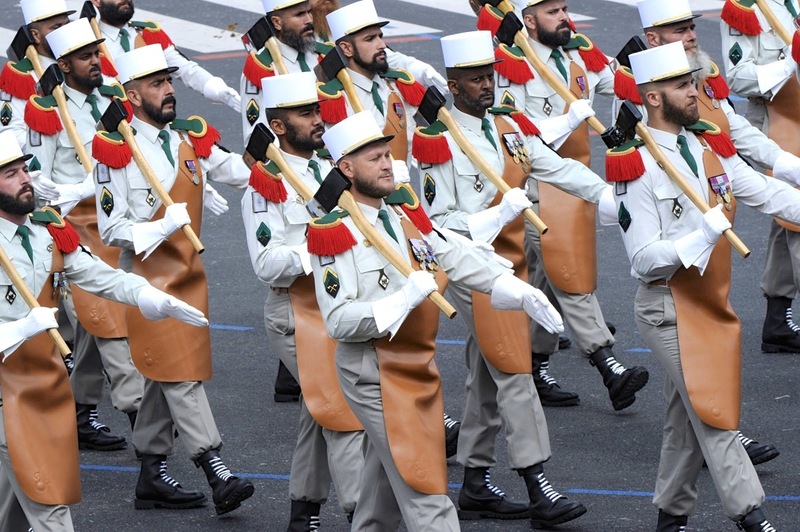 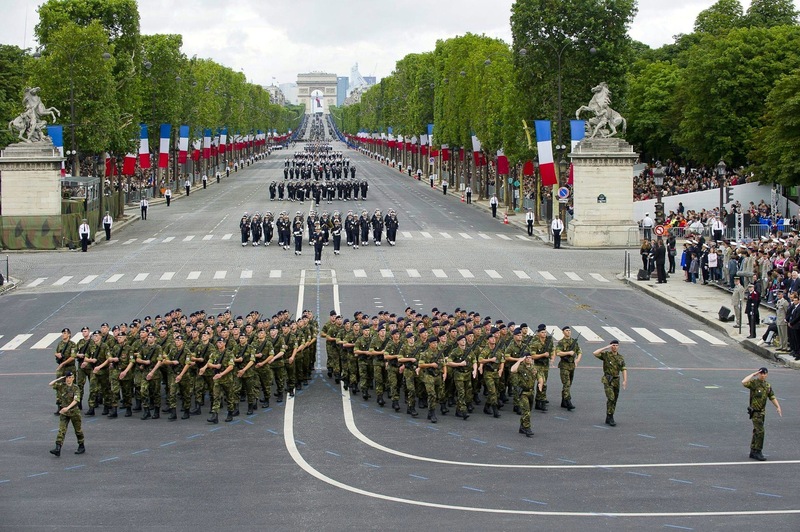 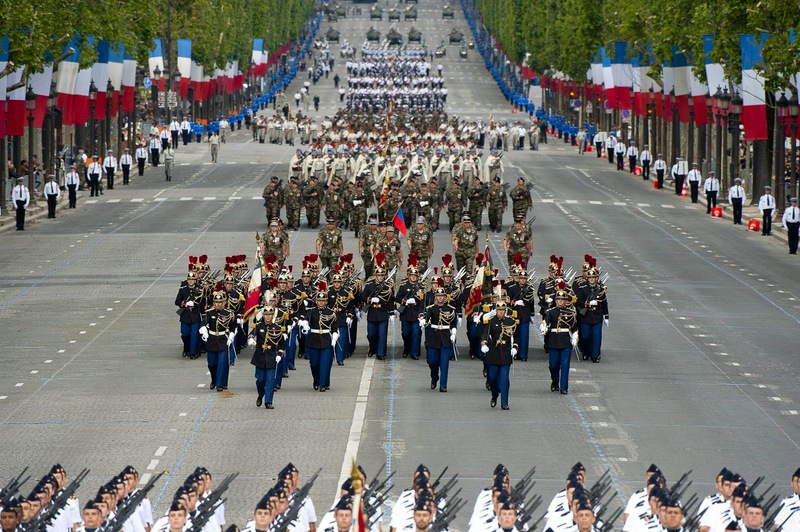 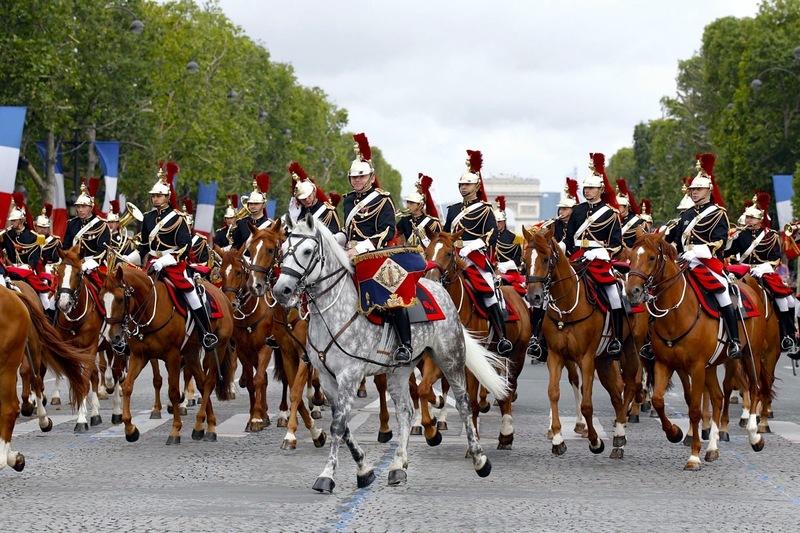 Celebrations are held all over France, including the oldest and largest regular military parade in Europe on the Champs-Élysées avenue in Paris in front of the President of the Republic, French officials and foreign guests. 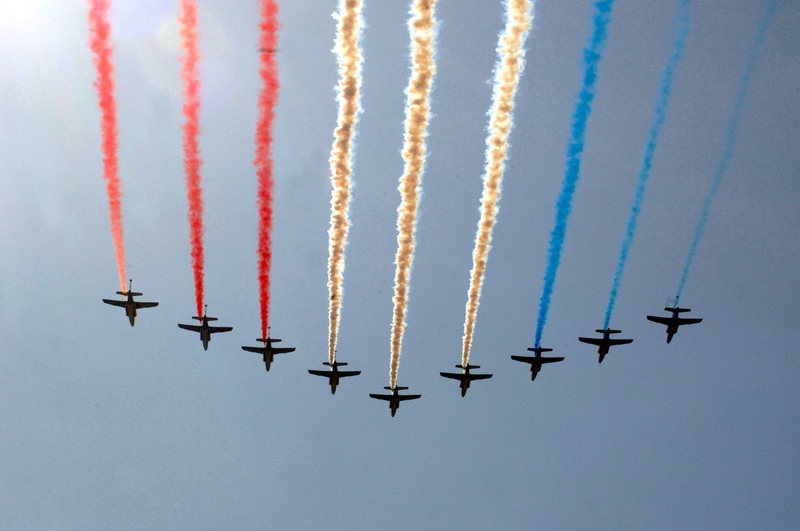 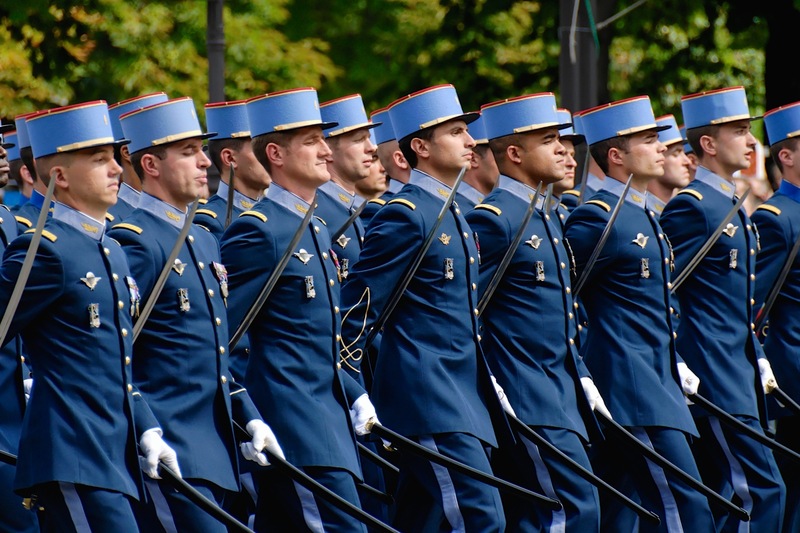 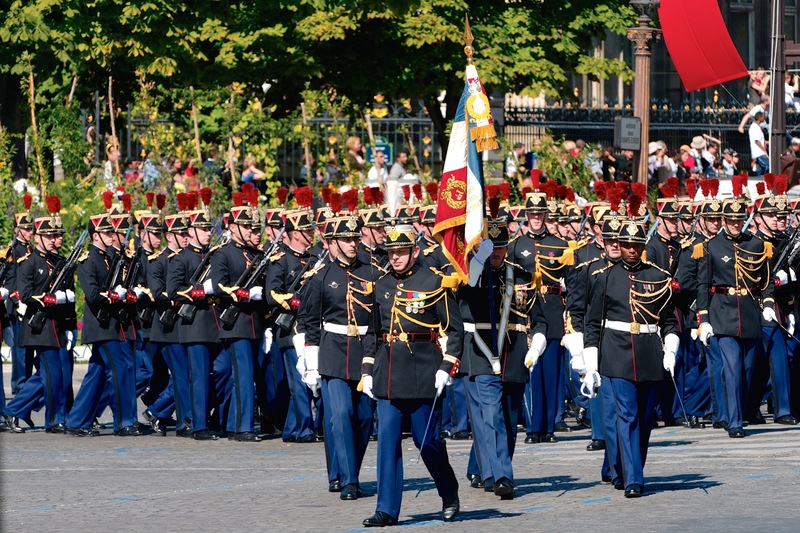 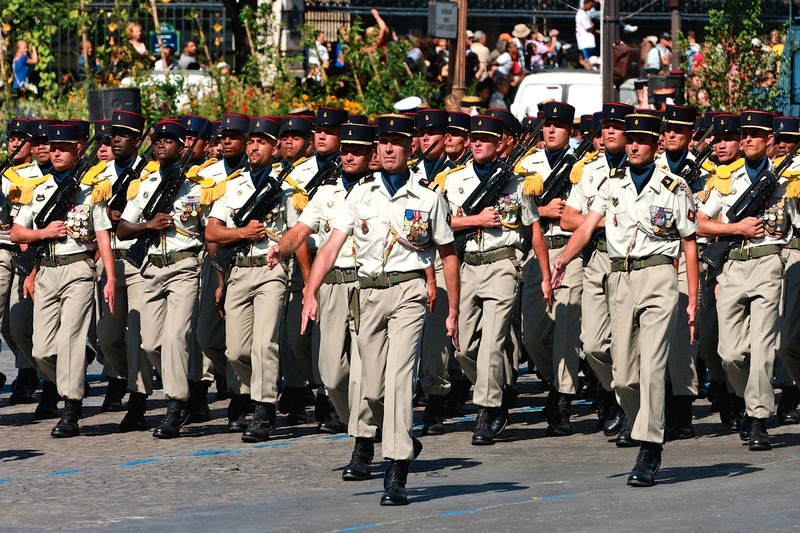 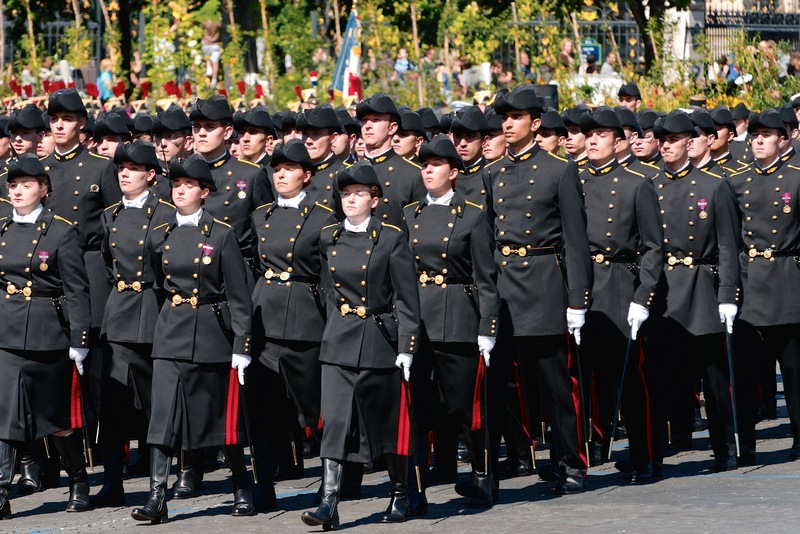 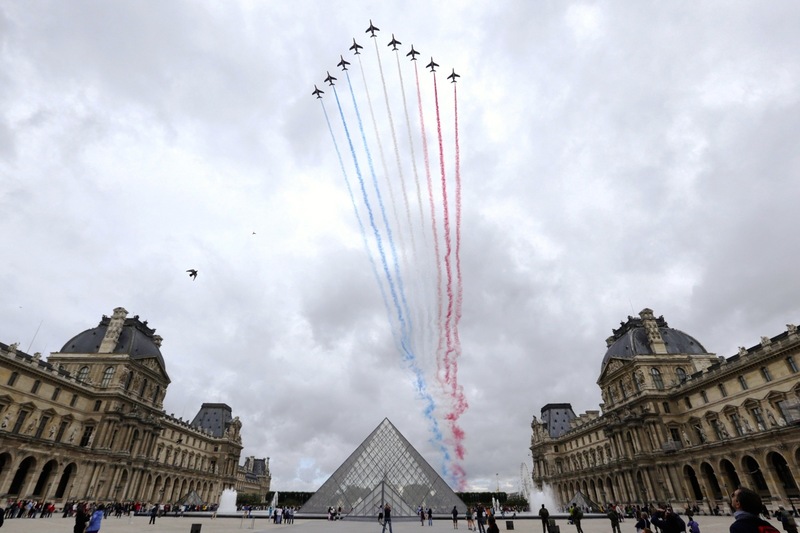 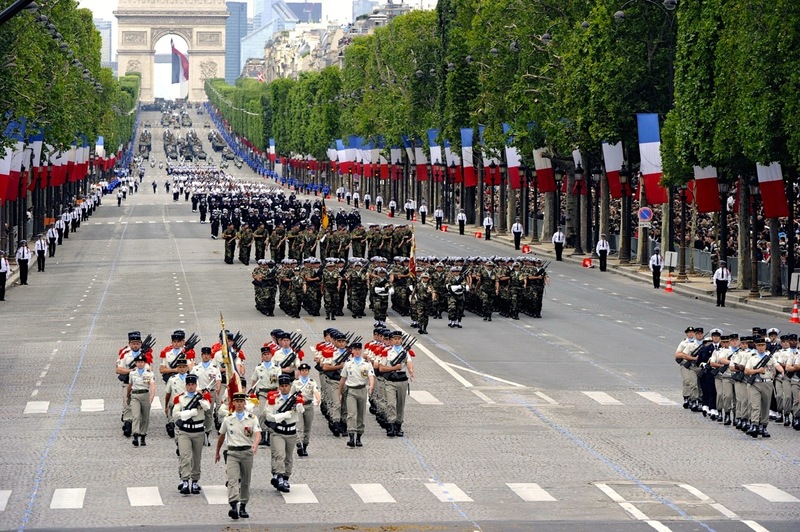 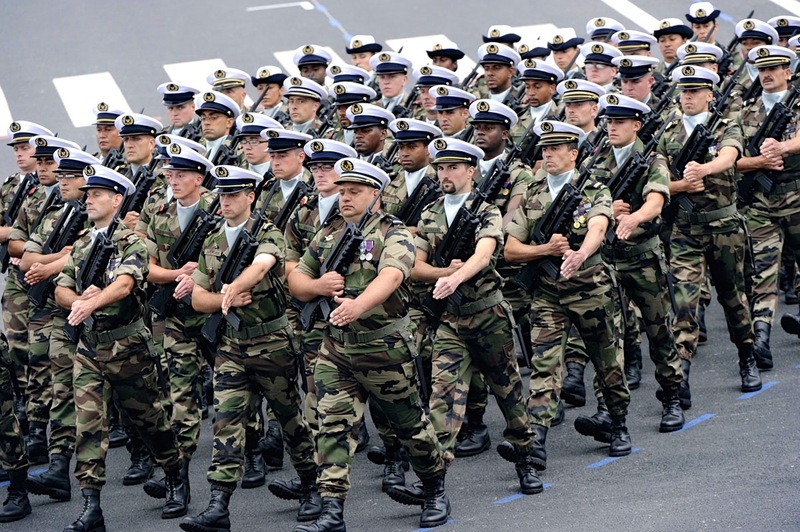 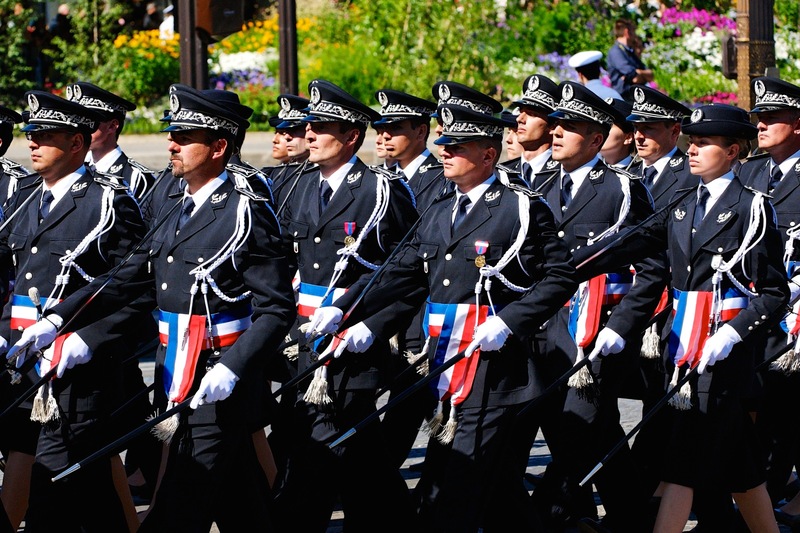 The Bastille Day Military Parade began in 1880 and opens with cadets from the École polytechnique, Saint-Cyr, École Navale, and so forth, then other infantry troops, then motorized troops; aircraft of the Patrouille de France aerobatics team fly above. 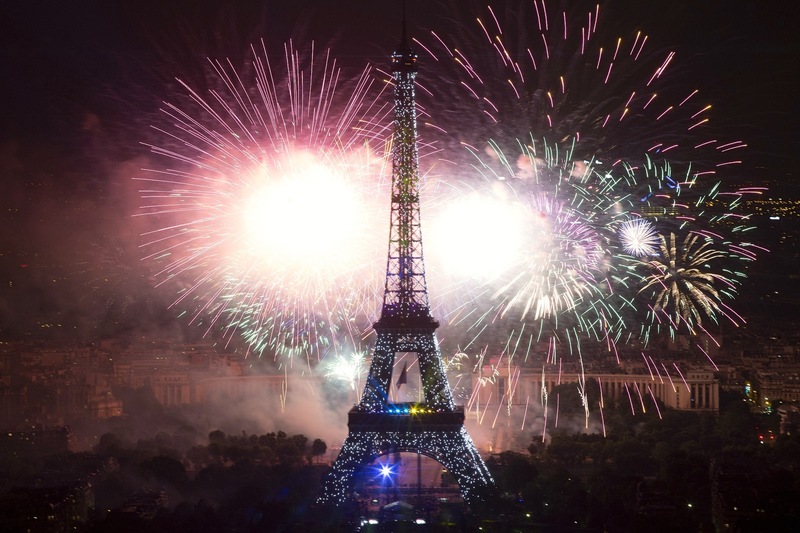 The celebration concludes with Fireworks igniting the French sky as another Bastille Day comes to an end.